THANK YOU CODY FOR THIS GREAT CREATION. Let the world know by you forwarding this on to all your friends and family…Tasha is great. Tasha gives you a glimpse of all her glorious hand work via Blake Productions, her style, love and creativity. Sit back and enjoy the beauty that is a part of Tasha’s Touch. TERA – still working on ur MOONS…pls bare with me. JJ- if you want the HOLLY HOOPS i will need your address hun. wish to get your items. a week after YOU REPLY …… NOT THE SAME DAY. 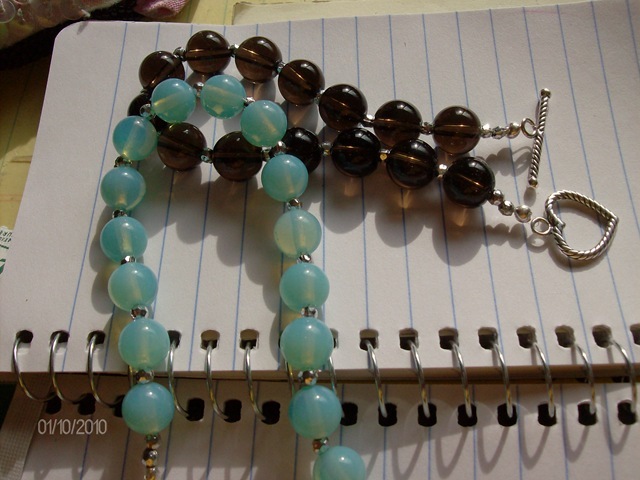 any ideas you have for me on a contest or jewelry suggestion pls mail me. 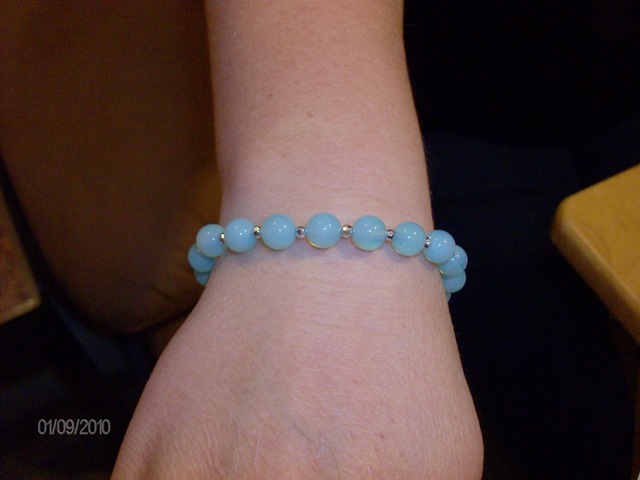 Blue Opalite and Smokey Quartz Healing bracelets. They are in the store now folks. 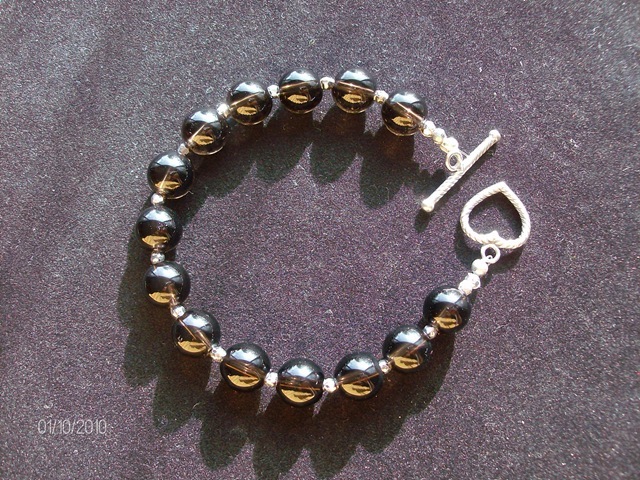 These are all sterling silver, natural stones with vintage silver separator beads. For the third giveaway I think I’ll be putting one of these in the grab bag of goodies. bracelets. Perfect for energy work, healing, and a variety of intentions. I close my eyes and meditate on the pattern and the materials. My guides put the picture in my head how it should be. (smudge) it for protection and cleansing. 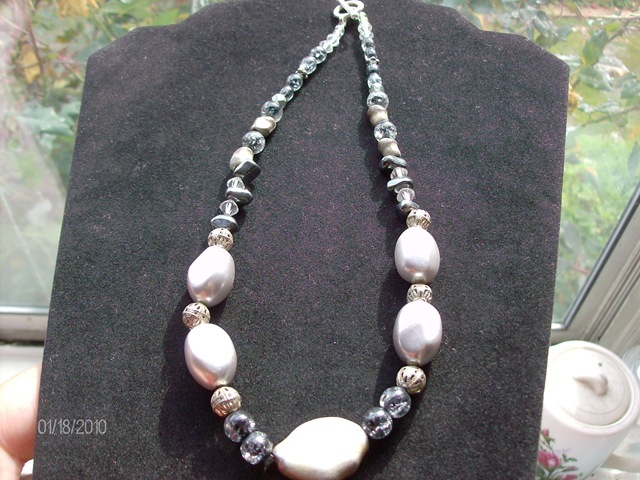 Made of nickel covered in silver plate – again – not much energy out put. Astrologists – note the sign associated with these minerals. I AM NOT A DOCTOR - I have been blessed with the gift of healing and clairvoyance. It is my purpose for being to heal and read for others. progress or not, that would greatly be appreciated. healing stone. Opalite is associated primarily with the third eye chakra. It provides for balancing of the yin-yang energy and can be used for the alignment of the meridians of the physical body with those of the ethereal body. It can also help with mind balance, energy balance, and balancing and attuning the energies required for spiritual development. I can be used to dissolve negative energies and emotional blockages. To help you heal your spirit. This is the purpose I knew I had many many years ago. It finally came to be this past September. I put it together as they say to. I pray on it for a full day then I sage (smudge) it for protection and cleansing. I have a lapidary friend that gives me his left-over’s. They are just as powerful as any other size, that doesn’t matter. They are all REAL minerals meant for healing purposes…if you wish to accept that. Made of nickel covered in silver plate – again – not much energy out put. I take great care to use the right products to let you receive the best outcome – healing. If the person who bought this would kindly allow me to know if you felt any progress or not, that would greatly be appreciated. 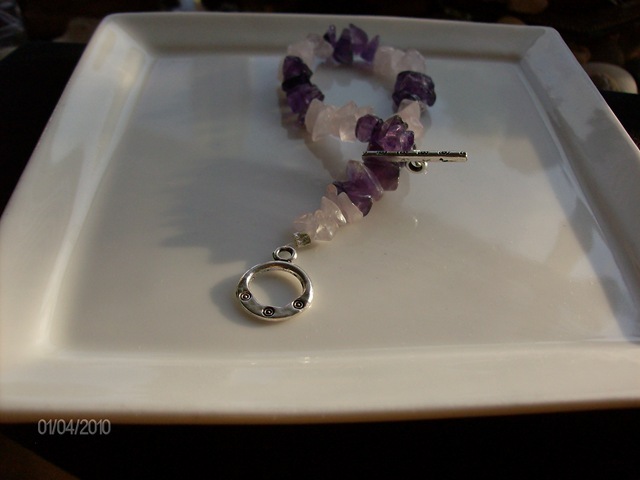 AMETHYST - Amethyst is a stone of spirituality and contentment. It facilitates transition of lower energies into the higher frequencies of both the spiritual and ethereal levels. It is representative of he principals of complete metamorphosis. It balances the energies of the intellectual, emotional and physical bodies and provides a clear connection between the Earth plane and the other worlds. It clears the aura and stabilizes and transmutes and dysfunctional energy located within ones body. Amethyst also bestows stability, strength, invigoration and peace; the peace being the perfect peace which was present prior to birth. It has been used in the treatment of insomnia and to ameliorate pain from headaches and other disorders; the pain being dissipated completely. It is also useful in stabilizing mental disorders. It has been used, with excellent results as an elixir in the treatment of arthritis. It can be uses in the treatment of hearing disorders to both strengthen the skeletal system and reinforce ones posture, and to stimulate both the sympathetic nervous system and the endocrine glands to proper and precise performance. It is quite useful in the treatment of disorders of the nervous system, digestive tract, heart, stomach, skin and teeth. It can help cellular disorders to re-adjust and re-align in order to eliminate distressful conditions. Vibrates to the number 3 and to all signs. CLEAR QUARTZ – it is said to bring energy of the stars into the soul. Traditionally the natural quartz was said to both harmonize and align human energies – thoughts, consciousness, emotions – with the energies of the universe and to make these greater energies available to humanity. The natural tendency of quartz is for harmony, and it is recognized as a STONE OF POWER. The quartz can be used to facilitate both speaking with and receiving information from the spiritual and other worldly masters, teachers and healers. Clear quartz is used extensively in meditation spiritual development and healing. It helps on to recognize the origin of a dis-ease and has been used for this purpose quite extensively by the inhabitants of Atlantis and Lemuria, by the Mayans and Aztecs the Australian Aborigines, the Romans, Scots, Celts, Tibetan Buddhists, Brahmans, and many others during the days of the old ways.it has been used to rise consciousness toward the enlightened state, and in communicating with the spirits and with those from other worlds. Rose Quartz – can be used to clear fluids in the cells of the body and to promote the release of impurities. It can be used to enable the opening of the heart center allowing for the dissolution of stress and tension, it has been used in the treatment of vertigo. It provides for help in the diminishment of disorders of the kidneys and adrenal glands. It can be used as an elixir to clear the skin and is said to reduce wrinkles and to provides the wearer/carrier with a soft complexion. Placed up on the heart chakra, It can diminish pain and can stimulate the proper functioning of the heart. Placed up on the area of the thymus it has decreased coughs and soothed the bronchial and lung areas of the body.